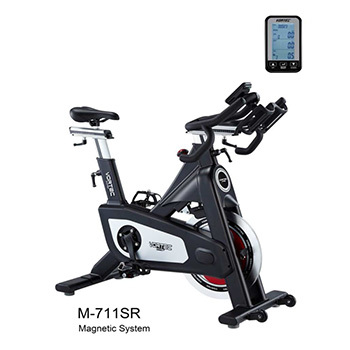 Exercise Bike / Indoor Cycle, M-711SR - Kenny-Joyce Co., Ltd. Magnetic bike with racing handle bar. Alloy construction on handlebar-stem /seat post/slider offers maximum stability and durability. Adjustable handlebar-stem height with extender with scale. Specially designed magnetic brake/tension system.